Expand your website with the power of Dotnetnuke! From small business to large enterprise, Dotnetnuke satisfies the needs of businesses both large and small. 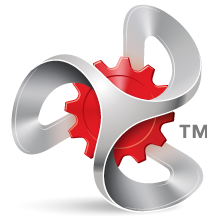 From simple websites to large corporate intranets, Dotnetnuke brings the power of the web to your fingertips. We offer a full range of domain and website services at great prices! Check out http://www.arrowwebservices.com to learn more. Looking to expand your datacenter, host an application or launch a website? Your search is over! Find out more about our hosting solutions and allow us to design a solution just for you. Find out how designing a search engine optimization (SEO) strategy will help new customers find you more easily. Find out how reporting, SEO, PPC, local SEO & maps, email, social media and reviews can be used together to drive more customers to your website.